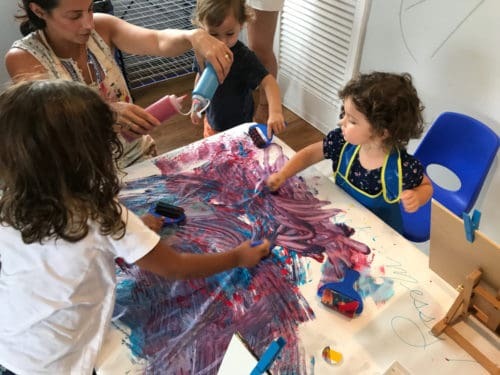 Today’s featured Modern Boca MOMpreneur is Stephanie Scianna Pitts, Creator of artNest, where you can sign up for kids painting classes in Delray along with sculpture, drawing, collages and photography! After I graduated college with a Bachelors degree in Art and a minor in Music, I began teaching in New Jersey. Something clicked then and I knew working with kids was my calling. My first teaching job was as an art educator in Miami teaching Severely Emotionally Disturbed and Emotionally Handicapped children. Art became more “art therapy” for both the children and myself. I knew that at some point I would create an environment in which these kids could create. Therefore, artNest came alive! 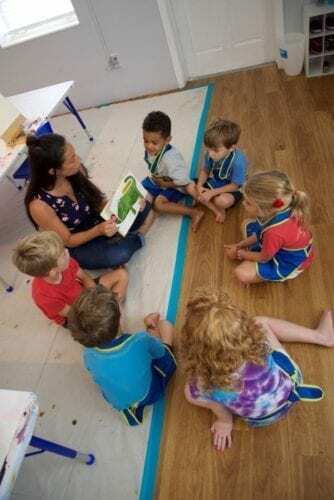 We love to have this opportunity for kids painting classes in Delray. I wanted to affect more kids, so I started working on the Operations and Curriculum/Program Development side of Education at The Princeton Review and School of Rock. Once I had my two children, Greyson (4) and Maddox (2 1/2), I realized that I wanted to be in control of my own time. I have always had an entrepreneurial spirit as I come from a family of entrepreneurs. My father is a retired Film Director and is the most talented and creative person I know. I asked him to go into business with me to help start this creative vision I had. My mother, who was the Executive Producer at their film production company, is now our Finance Manager. And, Greyson and Maddox act as my assistants in the class sometimes. This truly is a family business! READ PBC Parks Roundup: Where to Go When School's OUT! The biggest challenge, as most moms would likely agree, was balancing work/mom life. What do I do if my kid is sick and I have to teach a class? In the very beginning, just like many businesses, we didn’t have anyone else working for us. That was a major challenge. Why did you open artNEST Delray? We happened to start artNEST on a whim. But, I felt in my heart that we needed something like this in our community. I’ve always had an intense passion for giving kids opportunities to naturally be who they are. Kids are artists intuitively. I genuinely love to watch them explore in an environment that comes so naturally to them. We give the kids opportunities to create and explore without boundaries. What is more liberating then that!? We created a place where parents could relax and not stress if their child is doing the “right” thing or following all the rules (we don’t have many). 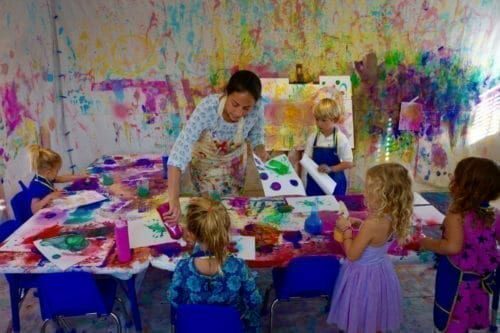 In our “Caregiver and Me” classes, we allow the parents to really sit back and enjoy their children as opposed to guiding them or worrying about whether they are painting on the walls (they can here!). Each month has a different theme such as Jackson Pollack, Salvador Dali, Graffiti, Pop Art, Harlem Renaissance, just to name a few. Within each month, we have different projects each week. We always have an activity that focuses on fine motor development. This helps kids hold their brushes/pencils properly. But, we also encourage kids to get messy and push boundaries. I like our kids to leave with new knowledge about the artist, movement and art terms. They don’t realize all of that is happening because to them, they are just having fun. 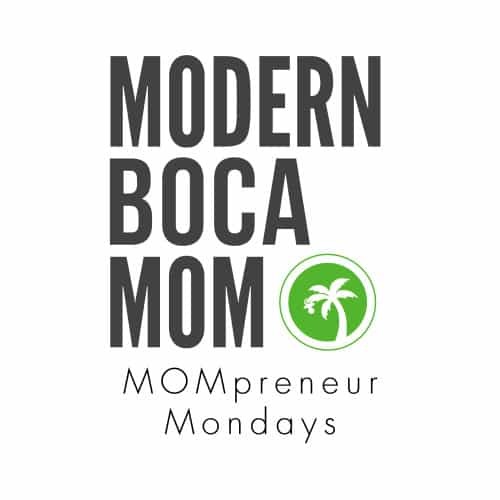 Why should Modern Boca Mom readers become your customers? ArtNEST is a laid back, nurturing place for kids and families. Art affects kids on deeper levels than just having fun or making a mess. That is important of course, but creative expression, learning to focus, pushing boundaries, being free and respecting other’s art work are all life-long skills that we teach here. Kids and parents love it and I’m sure your readers will too! What exciting things are coming up for artNEST? This month (February 2018), we are celebrating African American History by recreating the Harlem Renaissance at our kids painting classes in Delray. We have painted a wall to wall mural of Harlem and will have the kids paint the “windows” in the building. They will use techniques from various artists from that time, as well as learn about many influential African Americans. We always listen to the music of the time in which we are learning about to feel how the artist may have felt while they were painting. There will be a lot of jazz playing in our studio this month! We are also looking forward to our Summer and Spring Break camps! 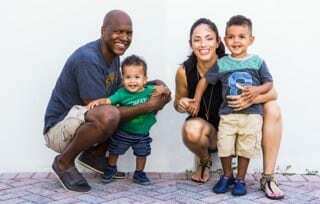 What do you love about living and working in South Florida? South Florida has been good to us on so many levels. 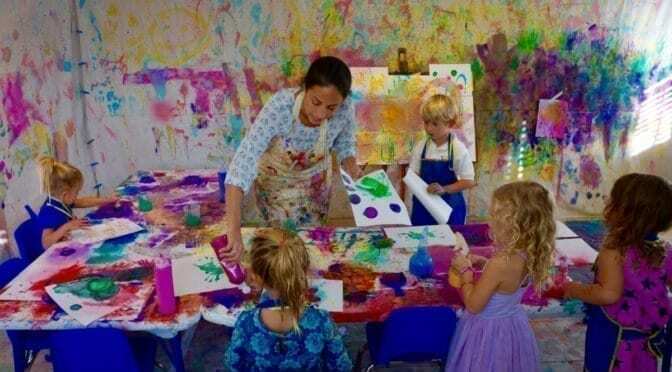 We saw a niche to include kids painting classes in Delray when we moved here from NYC. It was a big change for us, but it has been incredibly positive. The community truly embraced us personally and as a business from the minute we opened our doors. We have met so many wonderful kids and families…truly kind, genuine people that love this community just as much as we do. We feel like we can take our kids everywhere, especially outside year-round…you can’t beat that! Lots of smiles and love around here! We love artNest! What a cool story behind it too! Thanks for sharing.